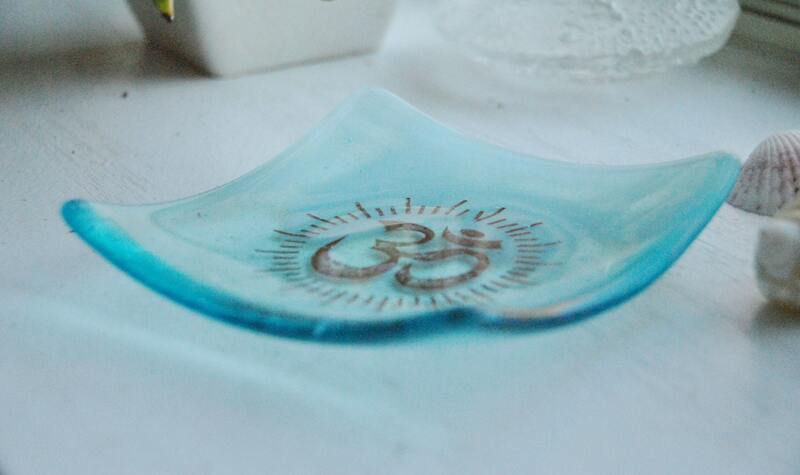 Approximately 5"x5" square light blue and white swirly transparent glass fused dish with an image of the Om symbol printed on it in a warm brown. 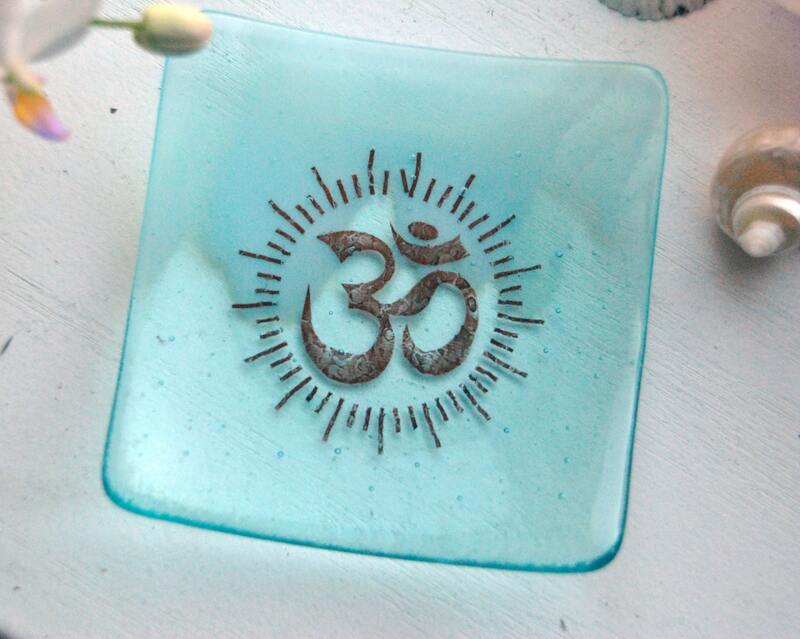 It's a sushi-style dish, great for rings, mala beads or just a pretty catch-all. 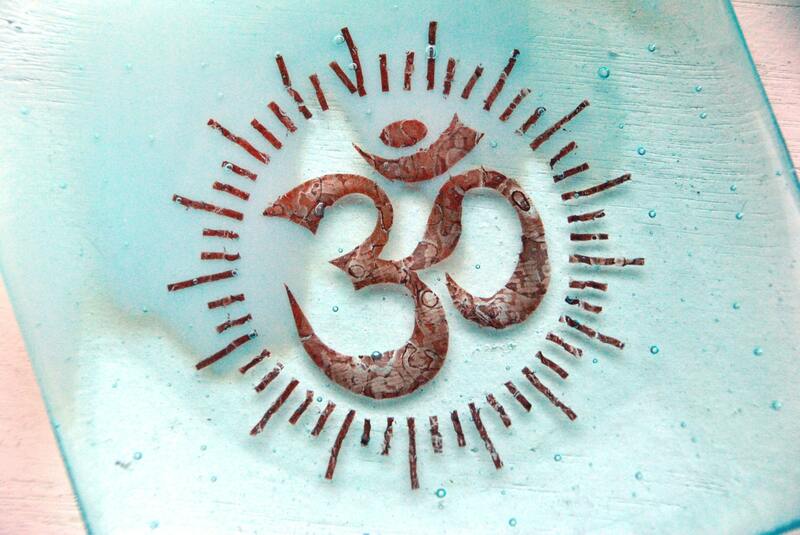 Om is a sound and a symbol which is rich in meaning and depth. 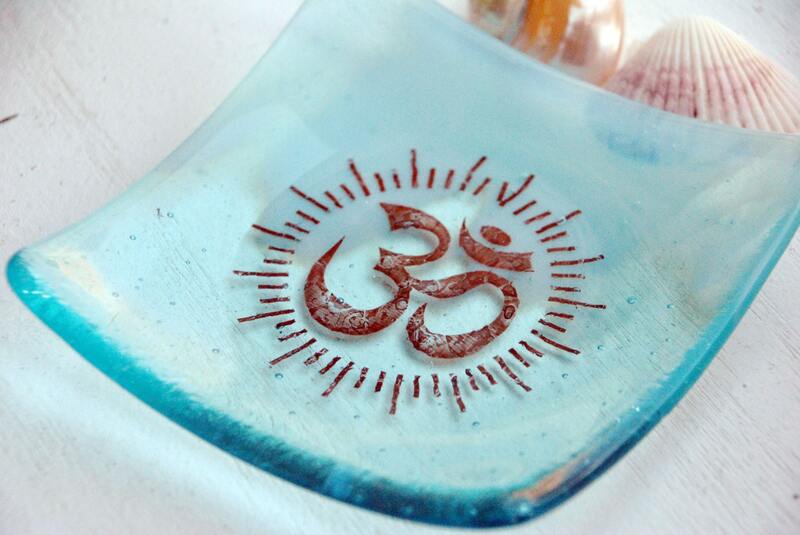 It represents the divine in each of us, as well as our interconnectivity. 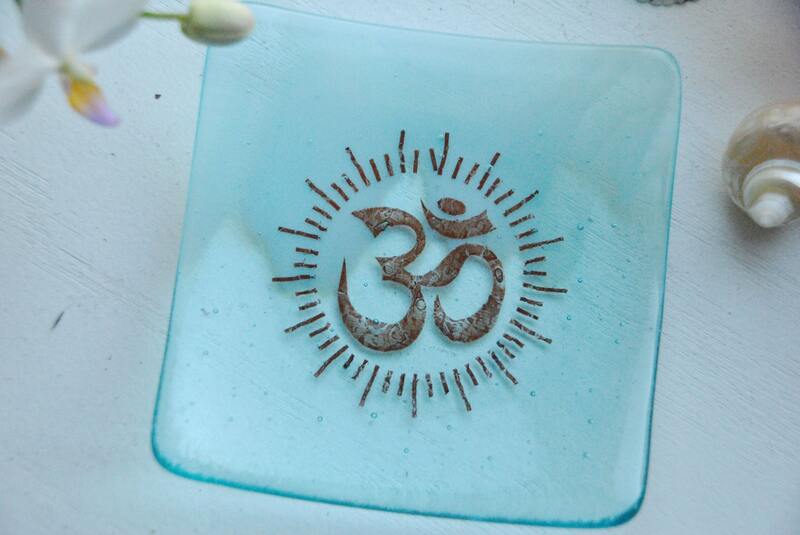 It reminds us that we have the ability to move past our physical and mental states of consciousness and connect the divine -- both in ourselves and others.